The video library contains two series: The Constitution Project, which comprises award-winning documentaries of landmark Supreme Court cases, and Conversations on the Constitution, in which Supreme Court justices discuss constitutional topics with high school students. 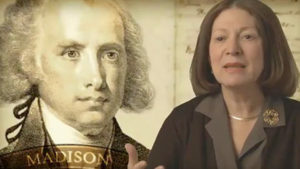 The story about the struggle over the Bill of Rights is told in this documentary, which explains how these individual freedoms that often are taken for granted today were controversial among the founding fathers and how they were eventually ratified. Ten short videos address each of the amendments. Annenberg Classroom’s Constitution Project series contains engaging documentaries about landmark Supreme Court cases and constitutional topics. 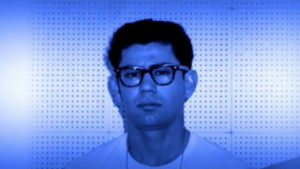 The films, which may be shown in one class period, feature insightful commentary from Supreme Court justices, legal scholars, and the plaintiffs and attorneys in the cases as well as historical footage. 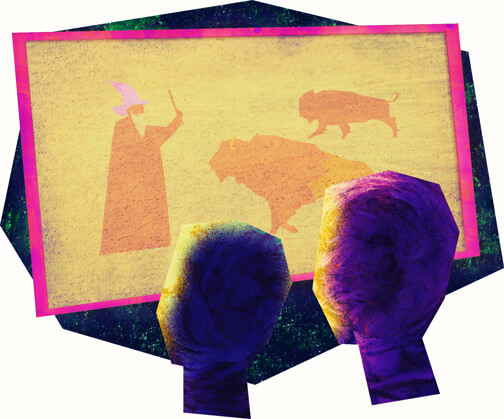 Standards-aligned lesson plans accompany the films. 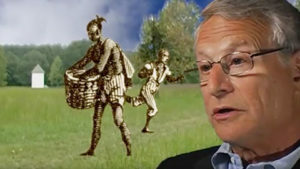 Watch this video to learn more about the series and how to use the films in the classroom. The complex relationship between the presidency and public opinion is examined by leading historians, political scientists and public figures who also offer insight into the office and its occupants from George Washington to Franklin D. Roosevelt. 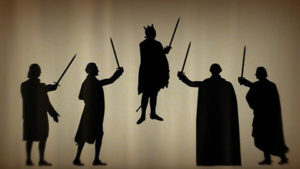 This video tells the story of the origins of the Magna Carta and explores the two most important principles that it symbolizes: rule of law and due process. Students will learn how the framers interpreted and redefined the rule of law and due process when they created our Constitution. 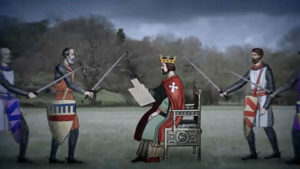 This video tells the story of the origins of the Magna Carta and explores the two most important principles that it symbolizes: rule of law and due process. Students will learn how the framers interpreted and redefined the rule of law and due process when they created our Constitution. And they will understand how those rights have been expanded and protected by the U.S. Supreme Court through two landmark Supreme Court cases: U.S. v. Nixon and Powell v. Alabama . 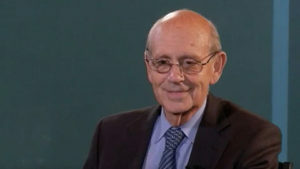 Justice Stephen G. Breyer talks with high school students about the role and importance of dissenting opinions when the U.S. Supreme Court decides cases. 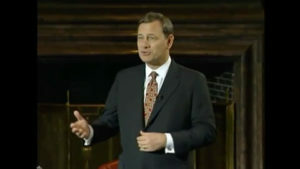 Chief Justice John G. Roberts Jr. and a group of students discuss the U.S. Supreme Court: its history and evolution; how the justices select, hear and decide cases; and the role of an independent judiciary and other issues crucial to a healthy democracy today. 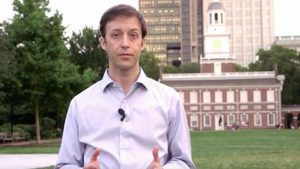 These 24 video lectures are part of an online course called Introduction to Key Constitutional Concepts and Supreme Court Cases, which is a project of the Annenberg Public Policy Center of the University of Pennsylvania and the University of Pennsylvania Law School. 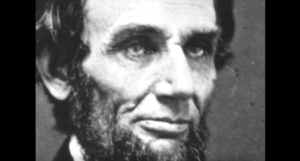 Tension between the states and the federal government has been a constant throughout U.S. history. 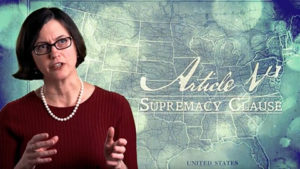 This video explores the supremacy clause in Article VI of the Constitution and key moments in the power struggle, including the landmark case McCulloch v. Maryland . 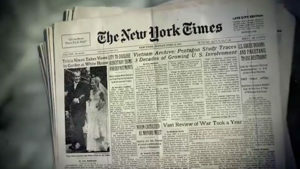 This documentary examines the First Amendment’s protection of a free press as well as the historic origins of this right and the ramifications of the landmark ruling in New York Times v. United States , the Pentagon Papers case, in which the U.S. Supreme Court ruled that prior restraint is unconstitutional. 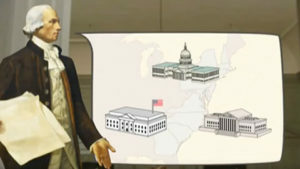 In these five videos, judges explain separation of powers and the roles of the three branches of government as well as landmark cases related to separation of powers. 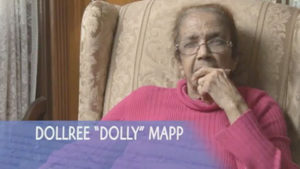 In 1957, Dollree Mapp stood up to police who tried to enter her home without a search warrant. Her act of defiance led to a landmark U.S. Supreme Court ruling in Mapp v. Ohio that limited police powers. 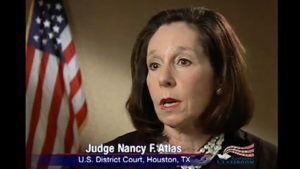 This documentary explores the Fourth Amendment case in which the Court ruled that evidence illegally obtained by police is not admissible in state courts. 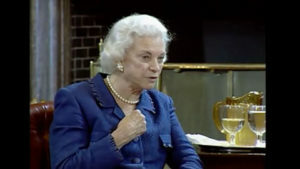 Justices Sandra Day O’Connor and Stephen G. Breyer answer questions from students about why we need a written Constitution and what it says about the Supreme Court and its rulings. 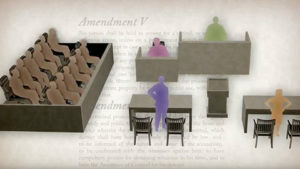 This three-part documentary discusses why and how the Constitution was created at the Constitutional Convention, explores the protection of individuals’ rights in Gideon v. Wainwright , and examines the limits of presidential power in Youngstown v. Sawyer . One of our oldest human rights, habeas corpus safeguards individual freedom by preventing unlawful or arbitrary imprisonment. 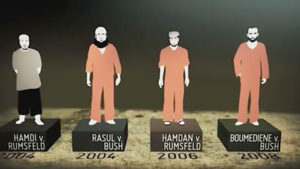 This documentary examines habeas corpus and the separation of powers in the aftermath of the 9/11 attacks through four Guantanamo Bay cases: Hamdi v. Rumsfeld , Rasul v. Bush , Hamdan v. Rumsfeld and Boumediene v. Bush . 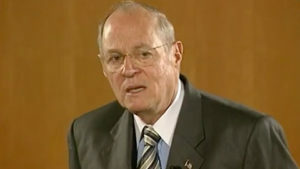 Justice Kennedy discusses the ruling in Yick Wo v. Hopkins in which the U.S. Supreme Court decided that the unequal application of a law violated the 14th Amendment. 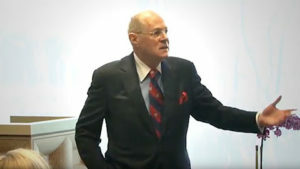 Justice Kennedy leads a discussion with students about the Miranda v. Arizona case, which established that criminal suspects must be told of their Fifth Amendment protection against self-incrimination and Sixth Amendment right to an attorney. 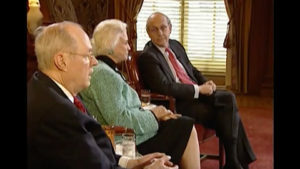 High school students join Justices Stephen G. Breyer, Anthony M. Kennedy and Sandra Day O’Connor to discuss why an independent judiciary is necessary. Incorporating three integral constitutional tenets – due process, equal protection, and privileges and immunities – the 14th Amendment was originally intended to secure rights for former slaves, but over the years, it has been expanded to protect all people. 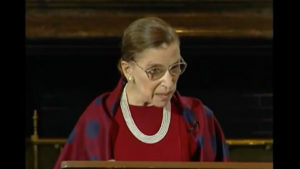 Justice Ginsburg discusses with students its importance. This documentary, featuring Justice Stephen G. Breyer and leading constitutional scholars, chronicles two key moments that defined our understanding of the role of the judiciary: Cherokee Nation v. Georgia and Cooper v. Aaron. This documentary explores the landmark Supreme Court decision Miranda v. Arizona that said criminal suspects, at the time of their arrest but before any interrogation, must be told of their Fifth Amendment protection against self-incrimination and Sixth Amendment right to an attorney. 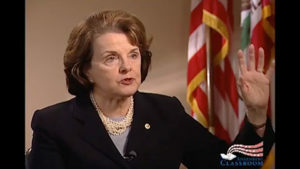 Sen. Dianne Feinstein (D., Calif.) and Rep. Pete Sessions (R., Texas) explain the complex process of turning a bill into federal law in discussions with high school students. Four short videos explain the significance of presidential signing statements: Separation of Powers, Non-Enforcement, the Unitary Theory and the President’s Intent. 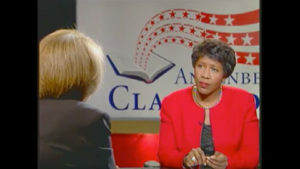 Hosted by Gwen Ifill, senior correspondent for The NewsHour with Jim Lehrer. This documentary tells the story of a tiny school in Yosemite National Park that tries to solve its funding problem by getting a bill passed in Congress and, in the process, learns many lessons about how federal laws are made.